Lamma Island residents have been warned that a bicycle clearing operation will take place this Thursday to remove bikes parked illegally by the Yung Shue Wan Ferry Pier. 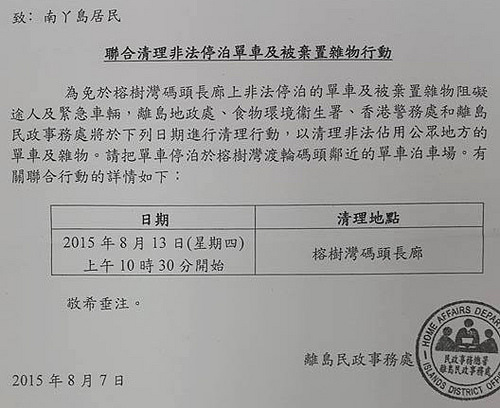 The notice also reminded cyclists to drop off their bicycles at the controversial Lamma Island bike park. It said the operation was conducted to give way to pedestrians and emergency vehicles. The notice reminding bicycle owners of the clearing operation. Photo: inMediahk. InMediahk reported that several dozen bicycles were confiscated by government officials during a similar clearing operation in 2012. The authorities subsequently destroyed the bicycles. The Lamma Island bike park near Yung Shue Wan Ferry Pier was completed in June 2015. The project was slammed by residents as a waste of money. 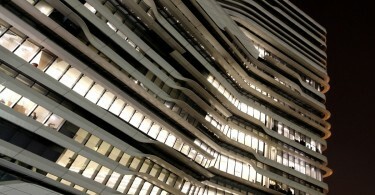 It had a total construction cost of HK$24.8 million. The Lamma Island bike park. Photo: Marcus H. Langston. 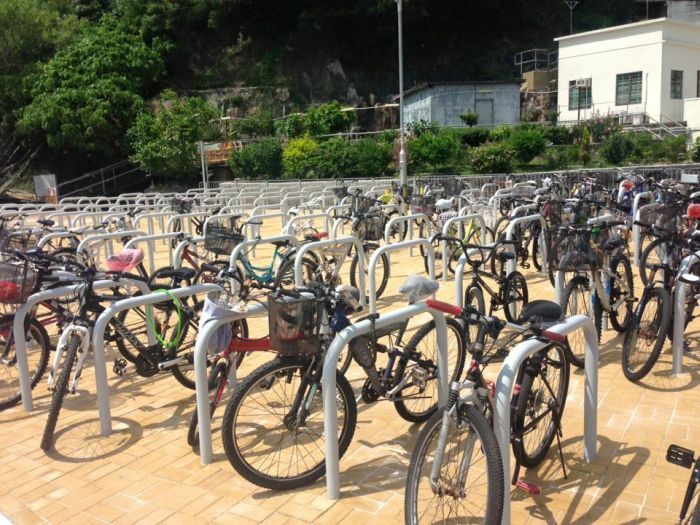 A spokesperson from the Islands District Council also said that the bike park could contain just over 300 bicycles, meaning that each parking space cost more than HK$80,000. Bicycles parked at the Yung Shue Wan ferry pier in Lamma Island. 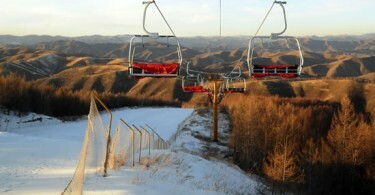 Photo: blog1.poco.cn. 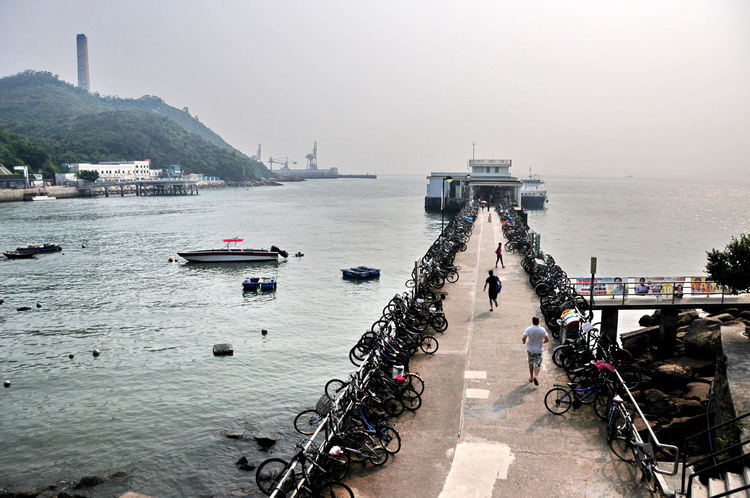 For years, local residents have parked their bikes on the railings of the Yung Shue Wan Ferry Pier. However, the pier is not a legal bike park, and some residents had received notices from the District Council reminding them the bikes could be confiscated. The clearing operation, which is set to take place on Thursday, will be jointly conducted by the Islands Land District Office, the Food and Environmental Hygiene Department, the Hong Kong Police Force and Islands District Council.